Living life can be tiring, amirite? 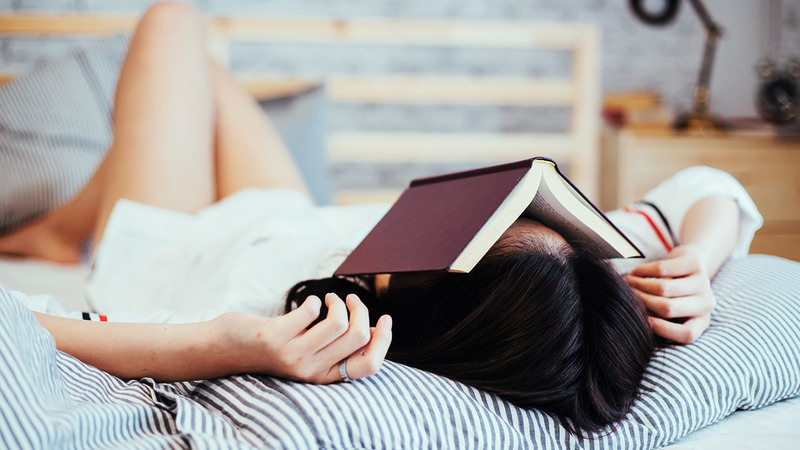 But if the week of your period leaves you feeling exhausted, it’s worth knowing that there’s a real, scientific reason behind your sleepiness. Aside from dealing with the cramps, headaches, and bloating that’s standard for many women on their period, there’s plenty of science stuff at play that will take it out of you, too. There’s not much you can do about your body’s natural cycle, but the good news is that your energy levels tend to peak during ovulation, which is generally about two weeks after the start of your period. There are natural ways of helping your body out when it’s feeling tired though; drinking water, getting at least eight hours sleep, and exercising will all do the trick. And if you’re really feeling low? Remember that a day in bed, a bar of chocolate, and Netflix can work wonders.